The Palmento was the place where the harvested grapes would be pressed.The must would be processed through a system of different tubes and tubs made of lava-stone. While the fresh grapes were brought in through the windows, mostly very young boys pressed them with their bare feet. Then the must would flow through lava-stone-tubes until reaching the „Tino“, the deepest-lying tub, where it would ferment and turn into wine. In the Palmento La Rosa you are still able to see the huge beam, operated by a wooden screw, which lifted and then dropped the very heavy press stone to press the utmost out of the rapes beneath. No need to mention that the result of this procedure wasn’t the best of the vines in the year. In the past, in a Palmento like this there were one or two very big barrels to contain and mature the wine, each one of 15’000 liters or more. 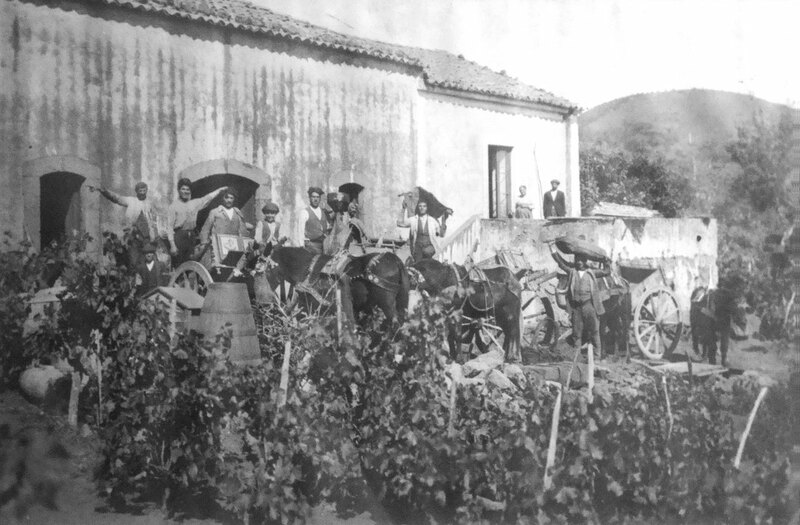 It is documented that, back in 1827, the Monastra family was selling wine in the villages around Pedara. Today, in the vines around the Palmento an elegant Etna Rosso is produced, which unites both tradition and modern techniques.